Place all ingredients in a blender and puree until smooth. If desired, heat before serving. For a spicy sauce, add 1/2 teaspoon more of cayenne. One sauce, endless possibilities—that’s what we can’t get enough of when it comes to this homemade taco sauce. 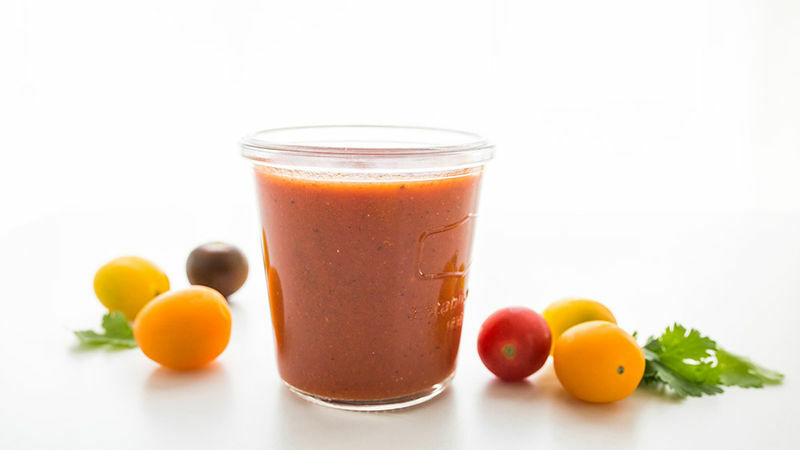 From salsa to chicken marinade to enchiladas to taco salad dressing, this sauce can do it all. It literally has one step and requires one dish to clean up. Throw all of the ingredients into a blender, blend until smooth and that’s all there is to it. The next time you’re reaching for a jar of taco sauce in the grocery store, try making your own from scratch. We’d be shocked if you made it any other way ever again. If you want to make a batch to keep on hand, double the ingredients and store leftovers tightly covered in the refrigerator. Tomato-based condiments last for a few weeks in the fridge, but as is the case with all things, fresh is best! If you can make this sauce homemade, you can make any sauce or seasoning from scratch! If that sounds intimidating, try one of these sauces you can whip up in your blender in less than five minutes.